With these amazing DIY home hacks, you’ll be able to decorate and organize your home more easily and without spending money on a lot of products. Check out! Love getting something expensive for almost nothing? Who doesn’t! These clever and creative DIY home hacks will help you decorate and care for your home without spending money on lots of products…Make your home a more enjoyable place – take shortcuts with these home hacks! 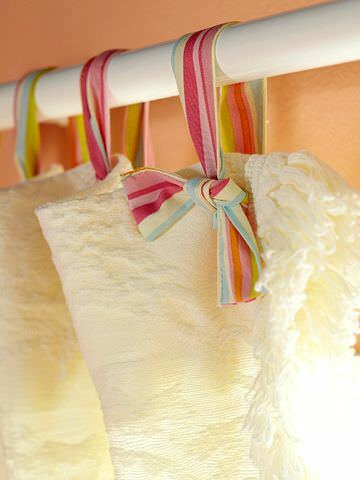 From ‘BHG‘, use ribbon to tie on a shower curtain, instead of those boring rings! 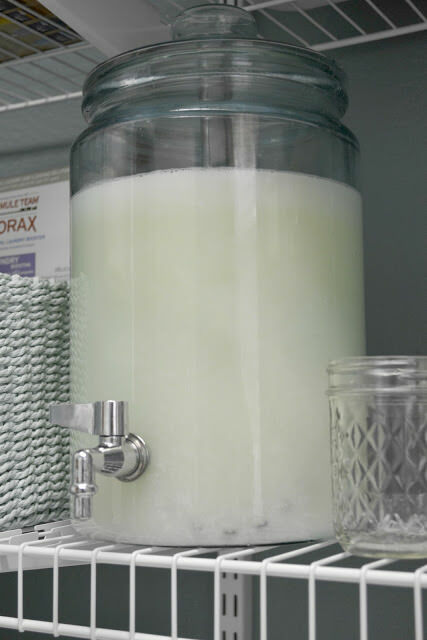 From ‘Your Little Birdie“, use a drink dispenser for laundry detergent. This makes lifting the Costco sized detergent bottles a non-issue. Oh, and it’s pretty! 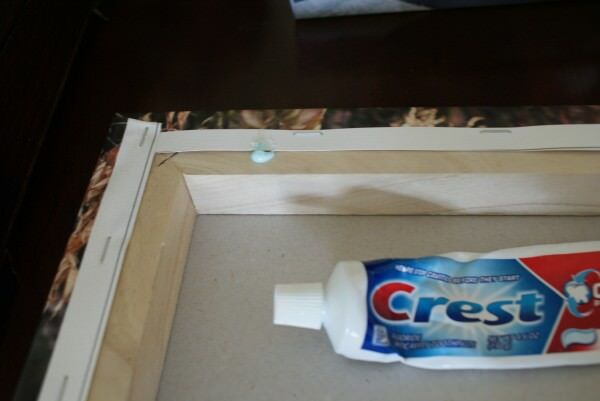 From ‘Somewhat Simple‘, use toothpaste to mark the spot for the nail when hanging pictures… Ingenious idea! Visit The Budget Decorator to read the full post.